This post contains affiliate link, if you buy a product a will earn a small comission. Read the full disclosure policy here. 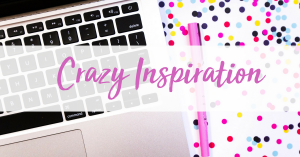 This single mom’s crazy inspiration gave me the encouragement to start blogging. Her book, How to Become Financially Free: From Homeless to Well Off: I’ll Show You How is the first book I read about blogging. She has a fabulous story. I want you to meet Sarah Titus. When you read her story I think you will be as inspired as I am. She is amazingly generous in helping others. 1. What or who gave you the courage to start blogging instead of getting a job like most people thought you “should”? What inspired you to believe you could do it? God convicted me to start a blog. At first, I thought He was crazy and I didn’t believe Him. Over a short period of time, He kept convicting my heart and I started down this path of blogging that I had no idea what I was doing. Every day, I’d come across a problem and would pray, “Okay, Lord, here I am…obeying You. I need help. I can’t overcome this challenge on my own.” And He would always make a way. 2. What do you like best and what is the worst about having an online business? I’ve had various online businesses for 18 years now. Honestly, I would say the best thing about having an online business is being able to meet and get to know amazing people. The key to that has always been pricing my items for sale (eBay) high enough to avoid problematic clients. The same is true for my blog, if there are trolls, I block their IP address from being able to even access my site ever again. I like having a community that is encouraging and loving. The worst thing about having an online business is the lack of being in person with people. I’d LOVE to meet many of my audience members in person and establish more REAL relationships. A lot of the personality is stripped away online. 3. How do you hope your blog helps readers and how does this relate to your mission or calling in life? When I first started blogging, my mission was to simply get every mom who wanted to stay home with her kids, help to be able to do that. I taught saving money, making money, organizing, and more. As time has gone on, my mission, while still the same, has gone off into a sub-sector of that same mission field. I believe every mom should start a blog! Whether it’s a hobby or a money-making blog, moms need to engage with others, we need a place to go, just to vent sometimes, get things off our chests, know that others have the same struggles we do. If a money-making blog, we want to help our families financially. Whether that means helping our spouses income, being able to pay for kids college, or adding to a retirement fund, all moms have the capability to do more in this world. Blogging online and helping others in that capacity gives so many moms more purpose and meaning, all while adding financially to their family’s income. 4. What do you listen to when you are working, any special music or podcasts or do you like it quiet? While I am working, I like it quiet. I have a one-track mind (no multi-tasking here as it is a huge drain on productivity). However, when I’m working on things like pictures or something I don’t necessarily need too much of my brain for, I like to listen to Christian music. 5. What advice do you have for women who are in the beginning stages of separation and divorce? If it can be worked out, that is ideal. I would be clear that I’m not an advocate for divorce and that my divorce was completely under Biblical terms, meaning, he had 6 known affairs AND left us. We ended up living in a homeless shelter. I would never tell someone they should divorce, however, because of sin in our culture, sometimes divorce is the only solution. In those cases, I would say to hold on to who you are as a woman. Don’t let a divorce strip away your morals and guidelines. Too often I see women compromise integrity and begin to focus on money, out of a surviving mentality. We all need to survive, but if you have God in your life, you will. You don’t have to compromise to survive. For me and my conscience, that was maintaining a stay at home mom life. With no child support, I made my way by selling things online. Things I’d find at yard sales and on Craigslist. Eventually, I got good at it, and started purchasing things to resell. I remember finding two pairs of brand-name jeans at a church yard sale for 50¢ each. I sold them for more than $100 each on eBay. That’s how I survived after my ex-husband left and before I started blogging. I was Hell-bent on not working outside the home. I would let nothing stop me. Here I am, 7 years later, just last month alone, made $57k, and STILL home with my kids. I never compromised and neither should you. If you have a dream, go for it. You’re the ONLY one who can make your own dreams come true! But you’ve got to fight for them. 6. What are 2-3 most common questions from readers? The problem is that they are running around, so overwhelmed, trying to be a martyr for their family’s and friends and they are burning both ends of the stick. While I’m over here, just seemingly having everything in balance. The answer is not a one-size-fits-all approach, however, much of my time, I’m actually BORED. 🙂 I’m not rushing around trying to be everywhere and do everything. I work hard, spend time with family, and above all else, close out loose ends and know how to say no. I work on 1-2 projects at a time, but to those projects, give it my all. 7. What makes your blog unique? I believe that EVERY blog is unique. Every blog has a unique voice and the world NEEDS to hear that unique voice. We all struggle with something and when we find a blog that gets it, gets us and our struggles, it helps dramatically. No longer do we feel alone. We feel connected to something or someone. Just as every blogger is different, so is every blog. It’s in finding that unique voice, that we find ourselves. For me, it’s about putting people first over money. So many blogs are just about money, and while that’s fine and right for others, for me, it’s not. I didn’t start my blog to make money. I started it to help people, and that remains my goal, 3 years later. When you truly put the needs of your audience first, the money will come, but you need to be completely genuine and put your heart out there. Show your audience there’s a real live human being on the other end of that screen that truly cares. My heart is what makes my blog unique, and my audience sees that transparency, honesty, and genuine love for them. In fact, the quality that I am most known for by my audience IS my honesty. Because I’m so transparent. 8. What is your advice to someone who wants to start an online business? What do you wish you knew, before you started yours? As for advice for others in starting a blog, I’d say to know that there’s a lot of scams out there that will try to take your money. Be careful and follow bloggers for a while to get to know their hearts. Don’t think that blogging is some get rich thing, because it’s not. Most bloggers don’t see a dime in profit until they’ve blogged at least 6 months. It’s all about building a platform and THEN the money comes. Don’t try to rush the money part and don’t start a blog if your #1 reason is to make money. While making money is a part of it, you’ll never do well in ANY entrepreneurial business if money is your #1 goal. I’ve been making money online for 18+ years now. The people I see not making it, are always the ones focused on money. You need heart and soul. You need a good reason WHY you’re doing this, or when the times get tough and the money isn’t coming in, you’ll quit. You need a bigger why than just yourself or money in order to keep going. Blogging is ebb and flow. Some fantastic times, some slow times. Will you still blog in the slow times? That’s the question. You have to be full-throttle committed. 9. What are you reading or what would you recommend? I tend to keep to myself. I’m not out there reading a bunch of stuff. My main focus is on how I can serve MY OWN audience, not trying to be someone I’m not. I always recommend that if a blogger DOES follow other bloggers, they keep it limited to 1-2 bloggers at a time, otherwise, it can get kind of overwhelming trying to keep up. If I did have one recommendation, it would be The Honest Bloggers Bundle. It has helped so many women get more organized and blog with more clarity and purpose. It includes my Blogging Binder and all the most popular books I’ve ever created, one book having sold 4,300 copies. 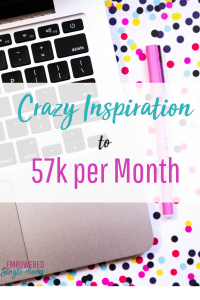 This is the best of the best, no wasting your time, get-your-blog-soaring-NOW type of bundle because the truth is that you CAN make great money while working less hours AND keeping your integrity and honesty as a blogger. 10. What question do you wish I would have asked and what is the answer? 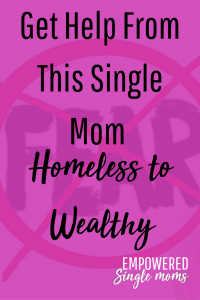 From homeless to $57k/month, this single mom has a passion for showing women they don’t have to work outside the home if they don’t want to. Sarah has been blogging for three years now and considers it a complete joy to mentor other women on her blog and through her products, including The Honest Bloggers Bundle. 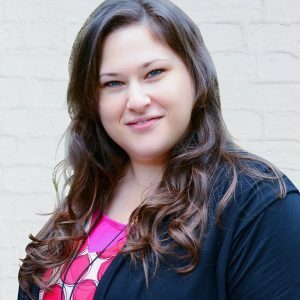 She is passionate about showing other moms that blogging is not just some hobby for many, but a viable way of making a fantastic full-time income.